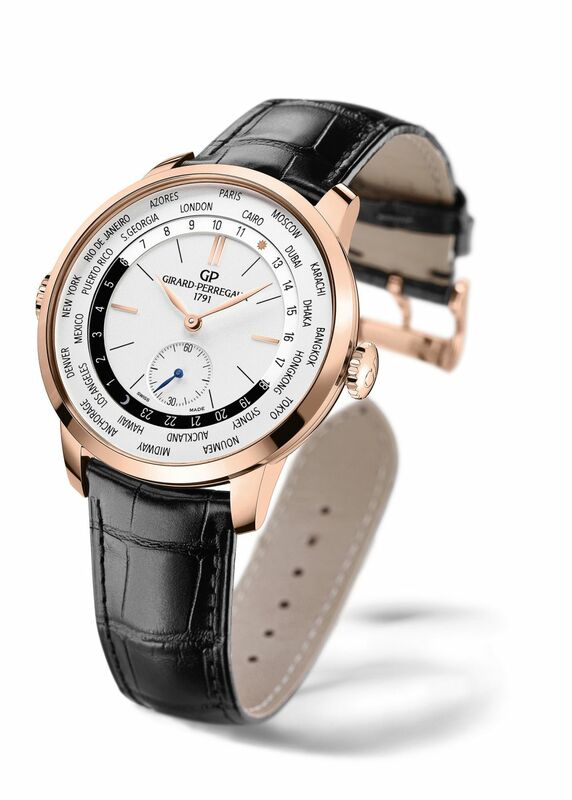 Girard Perregaux introduced its latest World Timer model with a new movement and a more compact case design. Until recently, the World Timer-featured models, which are monopolized by top-end brands, now find themselves among the product groups of many different segments. 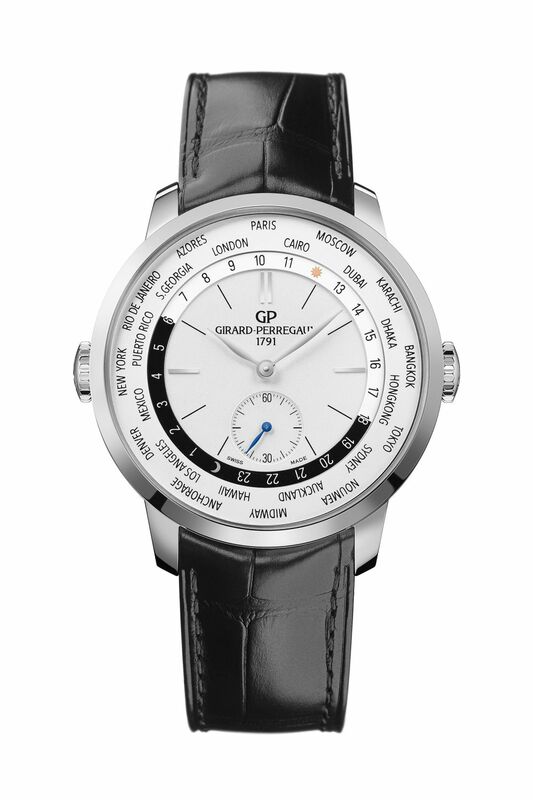 One of the first brands to come to mind is Girard-Perragaux when it gets to the World Timer, one of the most usable complications of the watch industry. Famous Swiss brand’s WW.TC collection, which is 16 years old now, has a unique place among World Timer complications. In the past, World Timer WW.TC collection, which was a guest of our pages with a detailed review, was very successful in the horological sense, but remained a somewhat difficult alternative for everyday use due to its oversized case. 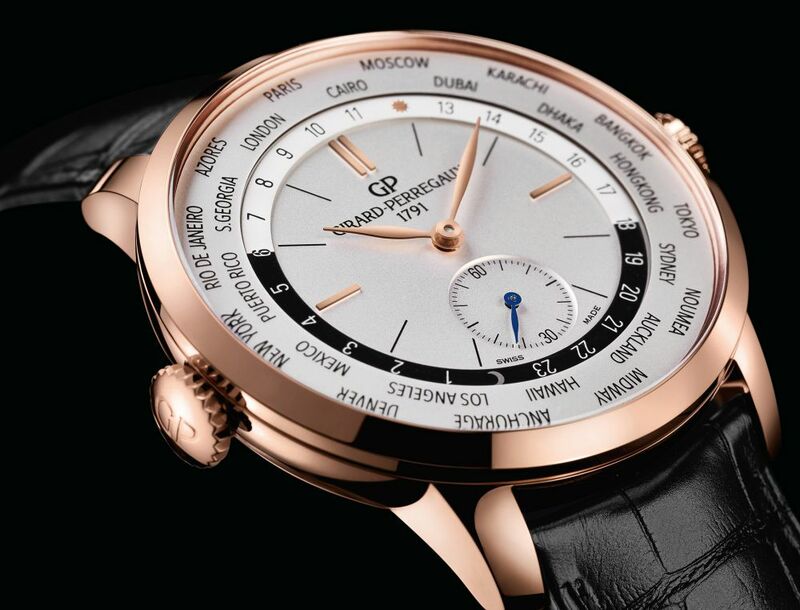 Girard-Perragaux, who is not oblivious to this situation, was once again able to please watchmakers with the new World Timer model introduced just before SIHH 2017. The new addition to the collection comes in two versions, 18K pink gold and stainless steel. The most important innovation in the collection is the new case, which offers a very compact design with a diameter of 40mm. With only 12mm thick, the case features two symmetrically placed winding crowns which are shaped elegantly. The case sports sapphire crystals on both the front and rear sides and is waterproof to 30M. Compared to the previous version with a case diameter of 44mm, the model has been a very ambitious revision in terms of comfort; the biggest assistant in this regard has been the renewed movement. 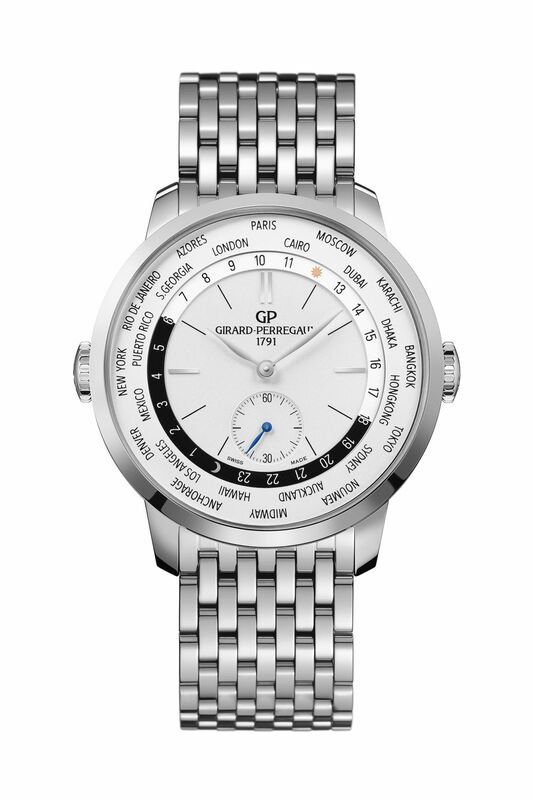 Girard-Perragaux's in-house movement, the GP03300, does not include the history and chronograph features like the older versions. The self-winding movement, which does not have any other features than the small seconds indicator at 6 o'clock, offers a full 46 hours of power reserve. The dial, which is designed to vary according to the case material, offers retro details as well as all the models included in the 1966 Collection of the brand. Despite its World Timer feature, the dial, which offers a vintage look with its pocket-watch like design, draws attention with its simpler lay out and readability. The 18K pink gold model is available with black leather strap and pink gold folding clasp, while the stainless steel version is available with both leather strap and metal bracelet. The sales price of the model will be announced at SIHH 2017 but we expect a relatively affordable figure.